The rate of black voter turnout, thus far, during early vote 2018, is good, observers note, but not good enough going into this last weekend of early voting to make a difference come Election Day. According to newly released data Monday from the NC State Board of Elections and Ethics Enforcement on the current 18-day early voting cycle, as of Oct. 29th 9, 743 African-Americans under the age of 26 went to the polls during the first eleven days of early voting in North Carolina. That figure is just under the 11,057 that voted over the entire 10 day early voting period in 2014, and behind the 20,286 who voted in 2016 with six days remaining (early voting was just 17 days in 2016). Thus far in 2018, African-Americans in total have cast 81% (228, 157) of the total ballots by blacks in 2014 early voting. The number of registered African-Americans in North Carolina has grown by 4% since 2014. In counties where the black voting population is considerable, early voting overall is good thus far, compared with 2014 figures . Wake , Durham, Mecklenburg, Forsyth, and Buncombe counties – the home of several colleges and universities - have seen dramatic increases in early voter turnout. Indeed, half of North Carolina’s 100 counties have better early voter turnout than in 2014. However, many of the eastern and coastal counties hit hard by Hurricane Florence that are receiving federal assistance – 28 in all – have seen early voting tallies go down compared to 2014, state official figures show. Alarmingly, 26 of those counties have seen fewer ballots compared to 2014 by African-Americans. Overall statewide, 1,099,555 voters have cast ballots at early voting sites thus far in 2018, compared with the 10-day early voting period in 2014 (1,097,269) and the first 11 days of the 2016 19-day early voting period (1,546, 765). Most of the 2018 early voter turnout is white, obviously, with 3.4% more white casting ballots now than in 2014 at this point. White voters under 26 have cast 26% more ballots than in the entire 2014 early voting period. It is fully expected, says state officials, that at this pace prior to the end of the 18 day early voting cycle this Saturday, Nov. 3rd. the 2018 figures could surpass 2016. New state figures also show that voter registration among all voters is up compared to previous early voting periods! According to WUNC Public Radio, by the years 2025, North Carolina will have several “majority-minority” counties, which will include Mecklenburg, Anson, Guilford, Robeson, Scotland, Hoke, Cumberland, Duplin, Lenoir, Sampson, Durham, Greene, Wilson, Edgecombe, Nash, Tyrell, Washington, Bertie, Hertford, Northhampton, Halifax, Warren and Vance. That means that communities of color in these counties are emerging, and the and of the 2018 election will tell the tale if they are beginning to flex their voting strength at the polls. As the 2018 midterm elections head towards the Nov. 6thElection Day finish line, two black women candidates are in good position to win high profile seats if black voters show their support. Civil rights attorney Anita Earls, Democrat, has run a good race, thus far, observers say, for the NC Supreme Court, seeking to unseat current associate Justice Barbara Jackson, a Republican. And Linda Coleman, also a Democrat, hopes to unseat incumbent Republican Congressman George Holding in the 2ndCongressional District. 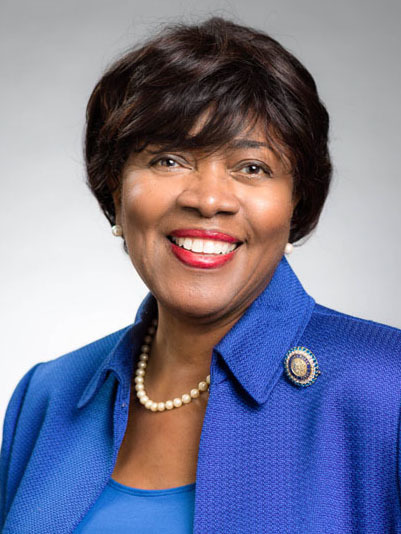 A win by Ms. Coleman would give North Carolina a third black member of North Carolina’s Congressional caucus, with First District Congressman G. K. Butterfield and 12thDistrict Rep. Alma Adams representing the other two. 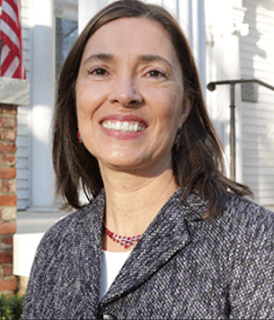 If attorney Earls wins her contest, she will join the Democratic majority on the state’s High Court, making it 5-2. She says she’s running to help restore faith in the judicial system. Being yet another woman of color on the state Supreme Court is also important for voters to factor in, Earls says. “There are a number of life experiences that I would bring to the court, and I think that the voters are entitled to know what those are, and decide for themselves what they believe is important in terms of who can best [serve],: she says. Bets known for being the former executive director of the Southern Coalition for Social Justice, “..a North Carolina based civil rights nonprofit that partners with communities of color and economically disadvantaged communities in the South to defend and advance their political, social and economic rights,” her court victories against the Republican legislature’s racially gerrymandered voting districts and discriminatory voter ID laws made her a champion in the eyes of many. “I felt the need to move into this new role because of the threats to the impartiality to our courts, and this experience of, particularly in the redistricting cases, seeing the court not willing to apply the law fairly,” Earls said. For Linda Coleman, her race in the Second Congressional District is about giving the average citizen there a voice in Congress she feels George Holding hasn’t done. The Second Congressional District is diverse racially, mixed with rural, urban and suburban communities. The six-county district encompasses southern and eastern Wake, northern Johnston County, southern Nash, western Wilson, and all of Franklin and Harnett. Politically, it is one-third Democrat, one-third Republican and one-third unaffiliated. In recent elections, the district has leaned conservative, but Coleman believes she can win. The polls, thus far, are close in the final days of the midterm elections. But if the recent negative television ads between Coleman and holding are any indication (Holding began running attack ads during the summer when polls showed Coleman gaining strength), every vote in the Second District must count, says Coleman. Early voting across the state ends Saturday, Nov. 3rd. Election Day is Tuesday, Nov. 6th. Polls open at 6:30 a.m..
[RALEIGH] NC Republican Party Executive Director Dallas Woodhouse has formally an investigation by the US Attorney’s Office and the state Board of Elections and Ethics Enforcement of state Rep. Jean farmer-Butterfield, alleging that she was living outside of her Wilson District when she serve her eighth term in the legislature. ““Jean Farmer-Butterfield is either lying to you about her residence here and has committed a crime in voter fraud, or she has committed a federal offense in mortgage fraud,” Woodhouse said during a recent campaign rally in Wilson. Farmer-Butterfield says her legal residency is in Wilson County, where she is running for a ninth term. She purchased a home in Johnston County for her daughter so that when the legislature is in session, she doesn’t have t travel to Raleigh from as far. She added that she consulted with attorneys before making the arrangement. Farmer-Butterfield, a Democrat, added that the allegations are just part of a negative campaign against her by the Republicans. [CARY] A 38-year old single mother, allegedly frustrated with the challenges of raising her two young children without a job, is now charged with leaving them on the side of road and driving off. Jennifer Westfall has been charged with two counts of misdemeanor child abuse. Her children, ages 9 years old and 19 months, were seen being left by another mother, picked up and taken to a nearby school, which then called police and Child Protective Services. Westfall was later arrested at her Fuquay-Varina home. Her children are in foster care currently. Westfall told a local TV station that she may now never get them back.